Looking for a simple way to kill some time until Daddy gets home? 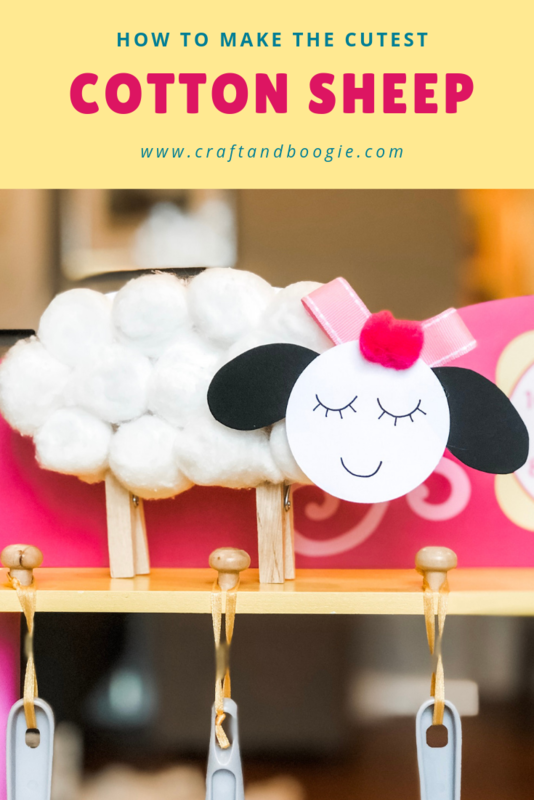 This sweet sheep is so easy to make, and you probably already have everything you need to put it together. My 5-year-old son had a blast gluing the cotton balls to the paper, my 7-year-old daughter loved drawing the face, and my 2-year-old son enjoyed running around the house yelling “baaaaa!” like a sheep! Cut a medium-size oval from the white card stock. This will be your sheep’s body. Cut a small circle from the white card stock. This will be your sheep’s head. Clip two clothes pins to the oval to resemble legs. Glue cotton balls to the oval body until it’s completely covered. Set aside to dry. Draw a face on the small white circle. Cut two ears from the black paper and glue them to the small white circle. OPTIONAL: Tie the ribbon in a bow and glue it to the top of the circle. Glue a pom-pom in the center. Glue the sheep’s head to its body.